Flat Zone gets a PS2 Reskin based on the Manhole Game & Watch. Has the same collisions, camera, boundaries, spawn points all with a new feel of flatness. Main stage, platforms, background and console name made by MarioDox, shadows by Yohan1044. Credit to PMDT for the original PS2 of PM 3.6. Skyfield [3.6] by MarioDox, DukeItOut, Yohan1044 with credit to ImNotJavin and ClipArtPanda for the recolor, PMDT. 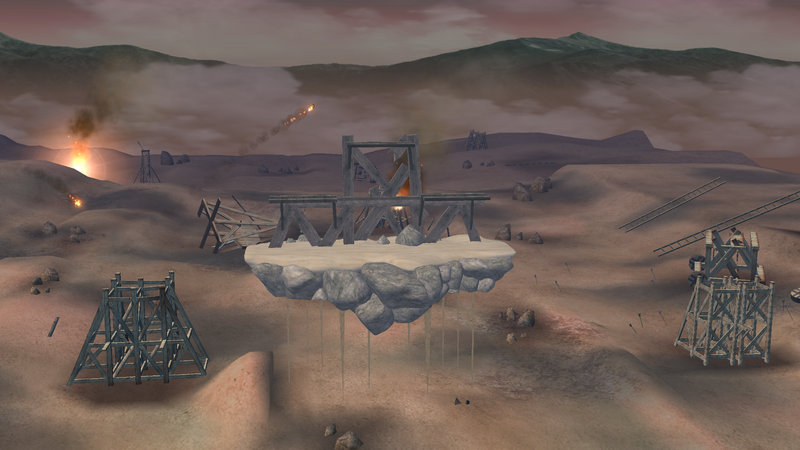 Skyland is a Battlefield 1:1 reskin on the world of clouds, Skyworld. It has all the tourney legal stuff: same collisions, camera, spawn points, and so on. Main stage model and platforms vertexed by MarioDox. Lights and fog adjustments by DukeItOut. Credit to ImNotJavin and ClipArtPanda for the Evening Skyworld reskin. Credit to PMDT for the Battlefield stage in PM 3.6. Deadline zone is a 1:1 reskin of Green Hill Zone PM with the looks of the Blaze boss fight arena from Sonic Rush. It has the same camera, boundaries, collisions, spawn points and is completely tourney legal. Credit to david so I could copy paste the description. And Animaybi for ripping the model. Fountain of Sauria is a 1:1 reskin of Fountain of Dreams with the looks of the Dinosaur Planet, Sauria. It has the same camera, boundaries, collisions, spawn points and is completely tourney legal. Original model from Edwguard Flows, with vertex edits by MarioDox and shadow adjustments by davidvkimball. Background and background elements (waterfall, ships) by davidvkimball. Death Race Stadium is a 1:1 reskin of Pokemon Stadium 2 with a race to the death in the background. The F-Zero series could really use some more cool stages, so I put some time into making this one. Davidvkimball modified the base stage, animated the background, animated the racers, and the racetrack. DukeItOut upgraded the lighting. Mawwwk created the F-Zero logo emblem on the stage. Castlefield is a 1:1 reskin of Battlefield with a Fire Emblem theme! Depending on which slot you replace, you'll see fireballs in the background. Stage design + misc edits by davidvkimball, custom base stage model by Dranakar, fire effects and vPM alt loading tech by DukeItOut. The included stage .pac and .rel files work over the base slot, or most any slot. The loading method is a little unconventional. So if you want a more \"traditional\" alt stage for Castle Siege, you can pick the \"low quality\" version in the alt folder. If you want the same high quality version but over a different slot, you can use the \"high quality\" version. It goes over Battlefield by default. High quality version will crash if used as a Castle Siege alt becaeuse of the strict file size limit when used conventionally. Both \"alt\" versions do not have fire background effects. [PM 3.6] Delfino Secret Plaza by davidvkimball, MarioDox, WorseDoughnut with credit to SOJ and DukeItOut for the idea. 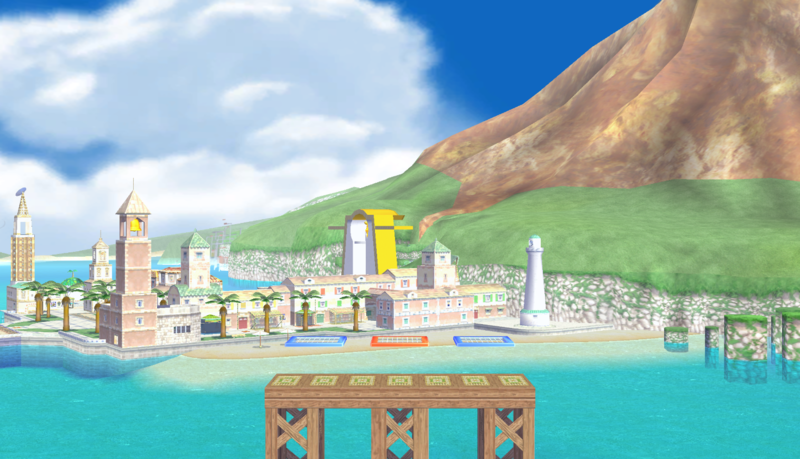 Delfino's Secret Plaza is a 1:1 of PM 3.6 Delfino's Secret! Now completely optimized and improved to run laglessly on any platform. [PM 3.6] Clock Town (1:1 + SFF2 Version) by davidvkimball, Nezha the Scout, DukeItOut, Layell, Dranakar, mawwwk with credit to KTH for the Clock Town import, Lunoz for the Skull Kid model import, and the PMDT for the Mewtwo animations used for Skull Kid. Clock town is a 1:1 reskin of Smashville with a little "terrible fate" mixed in. Complete with a full 3 day/night cycle, rain on the second day, lit torches, skull kid, and moon that crushes Clock Town, you're counting down the minutes before Termina's impending doom. Also comes with a SSF2-inspired version that is not tourney legal. 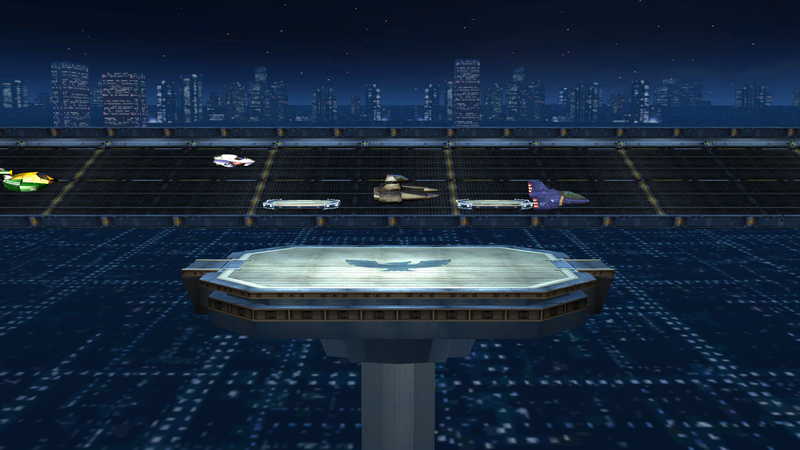 Importing for Brawl by Dranakar, custom base stage model by Dranakar. Model optimizations, shadows, Clock animations, Skull Kid animations, Moon animations, moon fire animation, and base stage modifications by davidvkimball. Day/night cycle lights, torches, rain by Scout. Texture fixes and working SFX for Smashville 1:1 (Legacy TE only) by DukeItOut. High resolution flag textures by mawwwk. Credit to KTH for the Clock Town import, Lunoz for the Skull Kid model import, and the PMDT for the Mewtwo animations used for Skull Kid. [PM 3.6] Classy Pikachu by davidvkimball, MarioDox with credit to GentlemanPotato for FancyChu, the costume upon which this one is based. Classy Pikachu by davidvkimball, with credit to MarioDox for helping fix the metal materials, and GentlemanPotato for making FancyChu, the skin upon which this is based. Made this for a Custom Brawl Modding Valentine's Day-themed contest. It's Project M 3.6 compliant. This is actually an improvement model-wise from FancyChu, since the eyes are no longer broken. I reimported the objects on default Pikachu. I didn't render the recolors - mainly because I didn't want to. Made for Legacy TE, but won't be in an official build. [PM 3.6] Pumpkin Hill Zone by davidvkimball with credit to ᆘ유 | 유유 for the original Pumpkin Hill stage and the former PMDT for the stage upon which this stage is based. HAPPY HALLOWEEN! Pumpkin Hill Zone is a 1-for-1 reskin of Green Hill Zone from PM 3.6. It's based off of Knuckles' infamous Pumpkin Hill stage from Sonic Adventure 2, and I figured it was time to make a tournament legal version finally. NOTE: this stage will not be a part of Legacy TE proper. - Yoo for uploading the original Pumpkin Hill stage on BrawlVault from which this stage borrows assets (http://forums.kc-mm.com/Gallery/BrawlView.php?Number=1991). If you want to make this stage an L alt for Green Hill Zone, just rename STGGREENHILL.pac to STGGREENHILL_Z.pac, and rename st_greenhill.rel to st_greenhill_Z.rel. Also comes with the "A Ghost's Pumpkin Soup" BRSTM. It's already been named to replace the default/first song for Green Hill Zone. 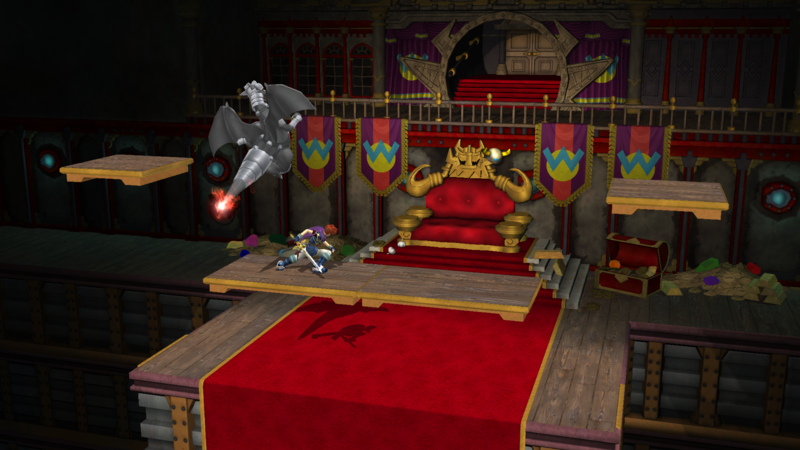 [PM 3.6] Castle Ware by WorseDoughnut, Nezha the Scout with credit to MarioKing64DS and AlGeorgeRomo and Nezha and TheRealHeroofWinds for creating the original stage for Smash 2. Castle Ware is a 1-for-1 reskin of WarioLand from PM 3.6! It's based on Smash 2's Wario's Castle. Water hazard was removed from the orignial stage. Nezha for moving the lighting backwards and adding similar lighting to the new stage models. If you want to make this the L alt for WarioLand, simply rename the stage and module files to STGMADEIN_Z.pac and st_madein_Z.rel respectively. 5/15/18: Updated to be a proper 1:1 of Norfair 3.6. Crateria 3.0 is an edit of my older versions made for Legacy TE's Z alt for Norfair. A new skybox, better fogs and a more pleasing look to the eyes to make your comp counterpick more smooth! Legacy TE team and Discord for Feedback. Update - 11/12/17: Updated module because for some crazy reason the stage was built off of 75m. Legacy Training Room is a remade version of the Online Practice Stage from Brawl. This download has two versions, one with a teal color scheme for Legacy TE , and another with a purple color scheme for Legacy XP. - Puzzled for recoloring some assets to match the current Legacy branding. - davidvkimball for creating the graphics shown on the monitors. - Robz for pretty much everything else. 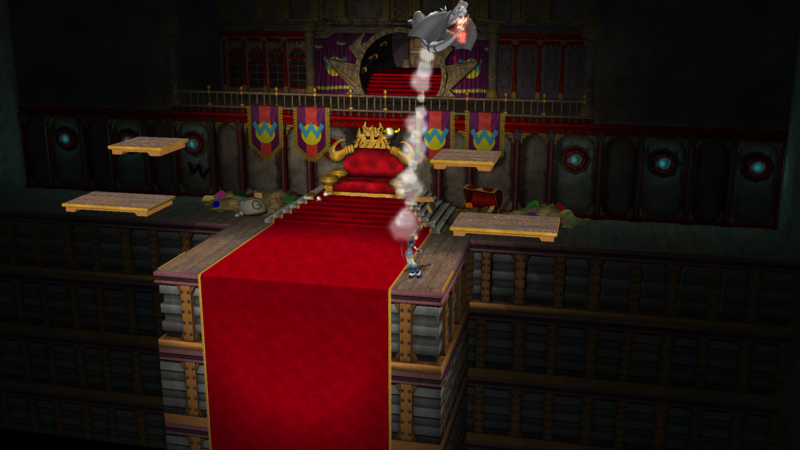 [PM 3.6] Classic Bowser's Castle (legal) by davidvkimball, WorseDoughnut with credit to Xenozoa425, Mewtwo2000, GotHunch for the stage's assets and LlamaJuice/the PMDT for the stage upon which this stage is based. Splat's iconic Bowser's Castle stage, modified for tourneys! 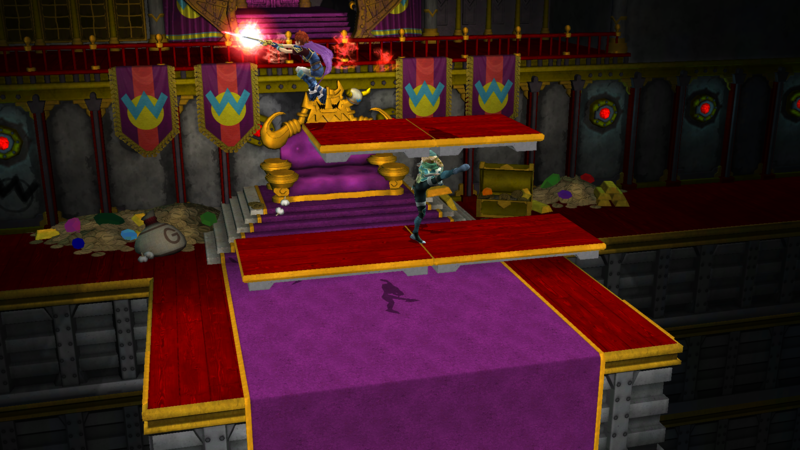 This canceled TE stage is a 1-for-1 reskin of Bowser's Castle Legal in Project M 3.6, making it a great alt for Bowser's Castle for any PM build. There are no hazards, obviously. And collisions are identical to the legal stage in PM. - WorseDoughnut for helping fit a very bizarrely-shaped shadow to fit on the stage. - Xenozoa425, Mewtwo2000, GotHunch for the stage assets. - LlamaJuice/the PMDT for the stage upon which this stage is based. Legacy TE: X [Unofficial Legacy TE + PMEX Build] by ALM5252, Denz, Moblin, Nezha the Scout, soopercool101, davidvkimball, PyotrLuzhin, ZaTaisho, HyperL!nk, Dranakar, Puzzled, Puzzled (Glitched Account), WorseDoughnut, Ca$ino Wolf, Yohan1044, chasemcdizzle, Drazerg with credit to the former PMDT and everyone else mentioned in the credits.txt. A huge thank you to the Legacy Discord community for helping the TE Dev Team test stages they've released. Credit to Yami and Psycho for many of the HD textures. PLEASE DO NOT REPORT ISSUES TO THE LEGACY TEAMS, THEY HAVE NOTHING TO DO WITH THIS RELEASE!!!! PLEASE READ THE INCLUDED READ ME FILE! TE: X is a PM+BEX Version of Legacy TE. It has the LXP Characters included. This is not a Tourney Legal Build, but it is still aimed at the Tournament Experience. Get to learn the new LXP characters in Tourney Legal Stages! Also, since this is running off of PM+BEX 0.51, you can add more characters should you choose to! Any future updates I do will be exclusive to my Discord Server! Join here! Legacy TE is a tournament-optimized version of Project M 3.6. Rather than replacing vanilla Project M content, it preserves its tournament-friendly assets and extends the experience just a bit further. This is modpack is based on PM 3.6, and not intended to continue Project M's development. Download link broken? PM me for a mirror download. If you use any of this build for your own build to publish, we ask that out of respect for the contributors, you review the credits.txt in the download and properly attribute whomever we include in the credits for what it is you wanted to import for your own build. Includes a purple recolor based off Nidoking and a green recolor based off of Mega Rayquaza. There's also an alternate blue team recolor based off of Nidoqueen for those that are extra picky about team colors. Each of the recolors comes with an alternate version where the emblem on the armor is changed to a different symbol. However, cosmetics were not made for those costumes. - Nanobuds, jiangjunizzy, and Theytah for the original skin. Spear Cavern is a 1-for-1 reskin of Metal Cavern from PM 3.6. Has the same camera/blast zones/etc. Also includes an animated Giratina in the background along with a corresponding color scheme. - davidvkimball, WorseDoughnut and Yohan1044 for setting up the basic skeleton of the stage. - davidvkimball (again) for the custom Giratina emblem on the platform. - E-scope12 and Hope4NeWDaY for the original Spear Pillar PM stage. Only one .pac file is needed if you want to port it to a different stage, since the 3 included ones are identical. David V. Kimball Land is a 1-for-1 reskin of Wario Land for Project M 3.6. The collision data and camera are identical. The download contains the stage, portraits and music suggested by THE David V. Kimball! David V. Kimball: For the music, avatar and inspiration. Smash Bros. Legacy: For teaching me how to wavedash and L-cancel (the easy way). I am not part of the Legacy team, this was done as a joke. Big Blueville is a 1-for-1 reskin of Smashville. Comes with the same camera, collisions, and blast zones from PM 3.6's version of Smashville. The balloon appears onstage as a floating orb inspired from the standard Big Blue stage. Included in Legacy XP. Y+R+A on WarioWare in 2.0 Beta. Simply, this is the WarioLand stage seen in Project M, with Brawl Minus' WarioWare collisions applied, meaning platforms move every ~45 seconds. Included in the download is both the original texture as well as the Refurbished texture, made by ymtah (and found as a separate download here on the Vault). This is because it would be easier to identify the main stage from the animated if you want to make it an alt to WL. The stage is based on Final Destination, but can go over 3.6 WarioLand's slot by default. You may need to use the .rel if using Alternate Stage Loader. 1-for-1 reskin of Competitive Bowser's Castle over Pirate Ship. [PM 3.6] Fountainbow by davidvkimball, WorseDoughnut, Yohan1044 with credit to Mewtwo2000 and the PMDT. 5/15/18: Added the Legacy TE 2.0 version. Fountainbow is a 1-for-1 reskin of Fountain of Dreams from Project M 3.6. Camera, collision data, and blast zones are identical as always. Plankton leap over the stage from time to time and cannot be interacted with. The Hannenbow water still interacts with the characters, but is just cosmetic. The slanted and colored leaves are in the background and are not new platforms. - Yohan1044 for importing FoD style-water with new animations and textures. Goes over the standard Hanenbow stage in PM just fine. If you'd like to make it an L alt for Hanenbow, simply rename STGPLANKTON.pac to STGPLANKTON_Z.pac. Page created in 0.986 seconds with 136 queries.